Our Care Cream hair mask blooms with an exotic fragrance of coocnut oil & cocoa butter, bringing to life our wholesome care that nourishes hair for softness. Rated 5 out of 5 by Seckel from Soft, soft, shiny hair! I have been using this shampoo and conditioner for a good while. I thought I'd give the mask a try. So glad I did! Rated 5 out of 5 by heatherann from Best hair mask! Worked really well! my hair felt softer, even once it had dried. I only left it in for 3 or 4 minutes. Rated 5 out of 5 by rebelmel from My hair looks fabulous! I have been working at making my hair look it's best and this is a great addition to my routine. I have only been washing my hair two or three times a week instead of 5-7 like before. I have replaced traditional conditioner with these masks instead. I've used these that I got for free, as well as the same brand just different varieties for a few weeks now - my hair has MAJOR shine, and my split ends, which used to be an issue, are next to nonexistent at this point! My hair looks like it's getting a bit fuller and thicker as well. Rated 3 out of 5 by simsluva from Garnier Whole Blends Care Cream I almost didn't try this because my hair has been in a protective style. 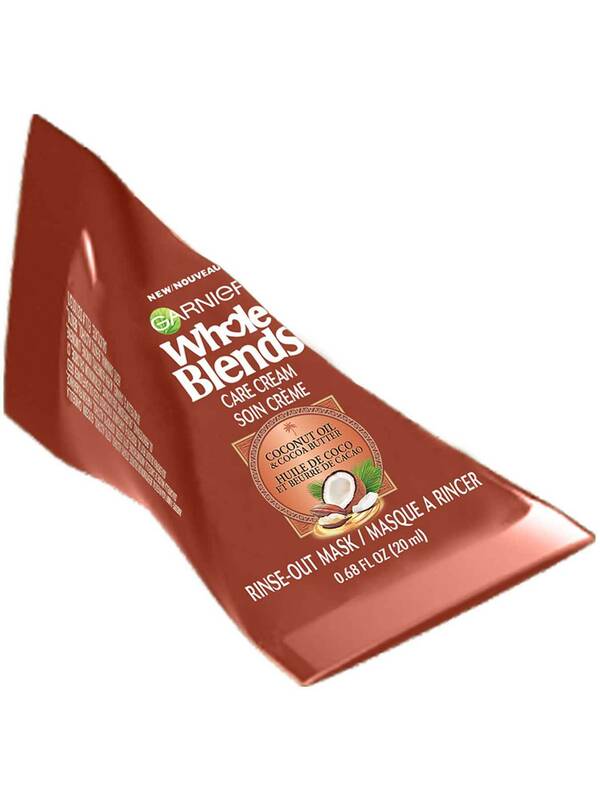 But I finally took it out and immediately washed with Garnier Whole Blends gentle shampoo, then followed with this Garnier Whole Blends mask. The scent is amazing. It glides on my 4C hair. I left it on longer then the 3 minutes on the package for extra penetration. Couldn't tell a huge difference between the mask and plain old conditioner. But all in all, its an okay product. Rated 4 out of 5 by bunneh from Fast hair mask after a stressful day After a week of work and school, it was nice to come home and take a nice, long shower. After washing my hair, I used the hair mask. Because it only takes 3 minutes for it to seep in, I used that time to wash the rest of my body. It smelled like coconut candy! After I rinsed it off, I noticed a nice shine in my hair. It calmed my frizz a bit and made my hair easy to comb. I still felt a little bit of the mask in my hair so there is a thin film left in it. Overall I liked using it because of the qualities that I listed. It's fast to use, gives my hair a little boost with little effort. Rated 5 out of 5 by rachelullman from Surprisingly great! To be perfectly honest, I was not expecting much from this hair mask. Normally I buy higher end hair masks and most of the time, I don’t feel like they even do much. I was happily surprised at how great this hair mask was! Not only was this super hydrating for my curly, frizzy hair, but it made my hair sooooo soft afterwards. I definitely plan on using this again. Rated 3 out of 5 by lildebbie31 from Garnier Coco Cocoa Monodose Hair Mask I really loved the scent and thickness of this mask. 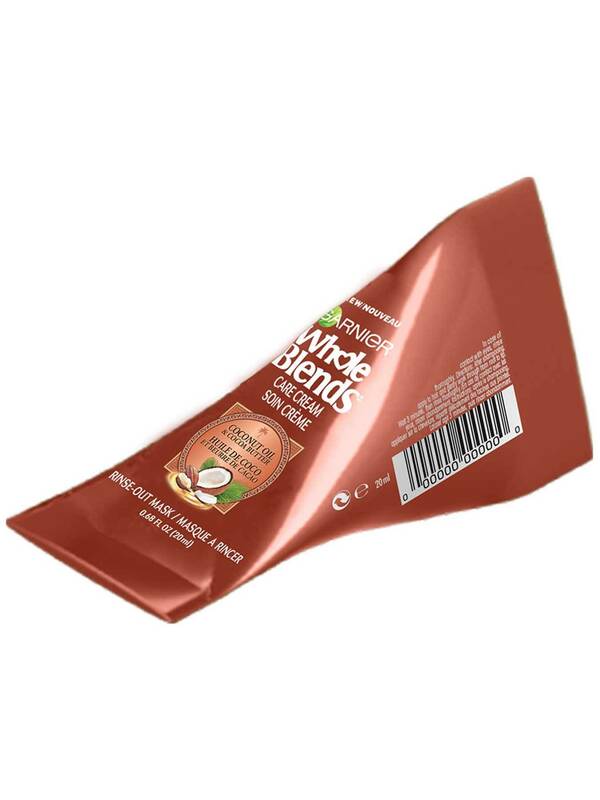 The Garnier Coco Cocoa Monodose Hair Mask leave on time of three minutes is perfect for the on the go, in a hurry person! The mask helped soften my hair but didn’t stop my frizz. I would buy a full size Garnier Coco Cocoa Monodose Hair Mask to give it more time to see if that’s what my hair needs. Rated 5 out of 5 by OliviaKellett from Soft, Beautiful Hair This hair mask is wonderful, and I definitely noticed a difference in how soft and smooth my hair was. I usually use the mask after I shampoo and condition my hair, and I will work it through from root to tip (but I go pretty easy on the roots). Now, I know the instructions say to only keep the mask on for 3 minutes, but I like to tie my hair into a loose bun and keep it in for about 30 minutes. Then, I just wash it out with a douse of very cold water. After the mask, my hair feel soft and moisturized but still lightweight. Once my hair dried, I also definitely noticed a difference in how shiny my hair was, and the scent was complex and lovely. I also love that the product comes in a "single-serving" package and that Garnier recycles.